Doom was at his rawest and, lyrically, most dexterous. The out-of-left-field edge of Doom’s production — which features ’80s soul and smooth jazz mixed with classic drum breaks — is indeed abstract at times, but his off-kilter rhymes are palatable and absent any pretentiousness. In fact, the album arguably contains some of the freshest rhymes one might have heard around the time of its release. 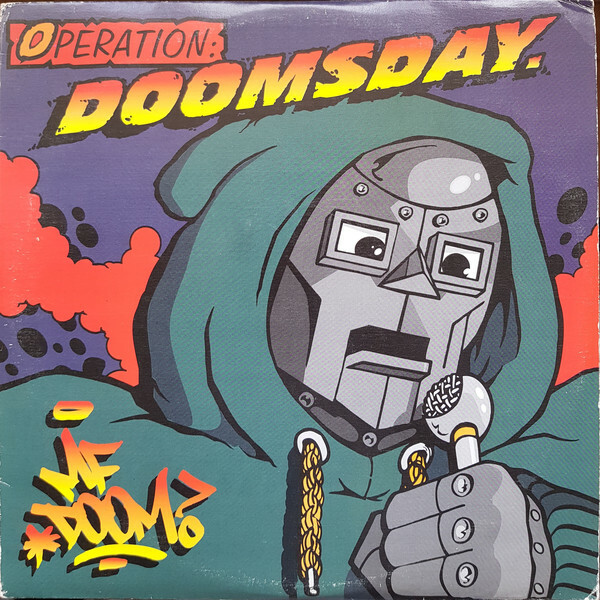 Doom’s style certainly isn’t for everyone but the more I see rap evolve the more I realize just how remarkable his distinct style is. Not much to add to the allmusic review. This album is raw – both lyrically and production wise. His raps are dense, he’s clearly an intelligent guy, switching topics quickly; a tactic which rewards repeat listens. Something about his delivery reminds me of Wutang, a rare quality. The production works well and I’m not mad at the super-hero interludes.